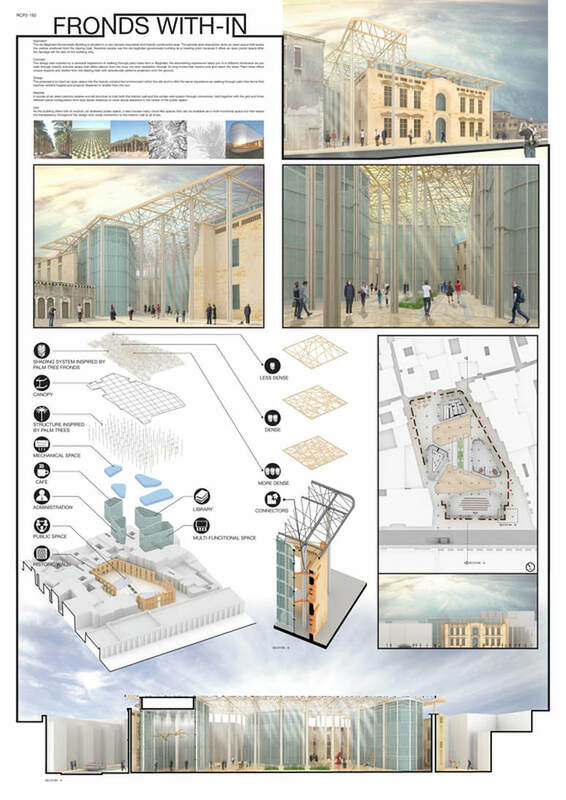 “This project offers an example of how urban ruins can be regenerated into new complexes. 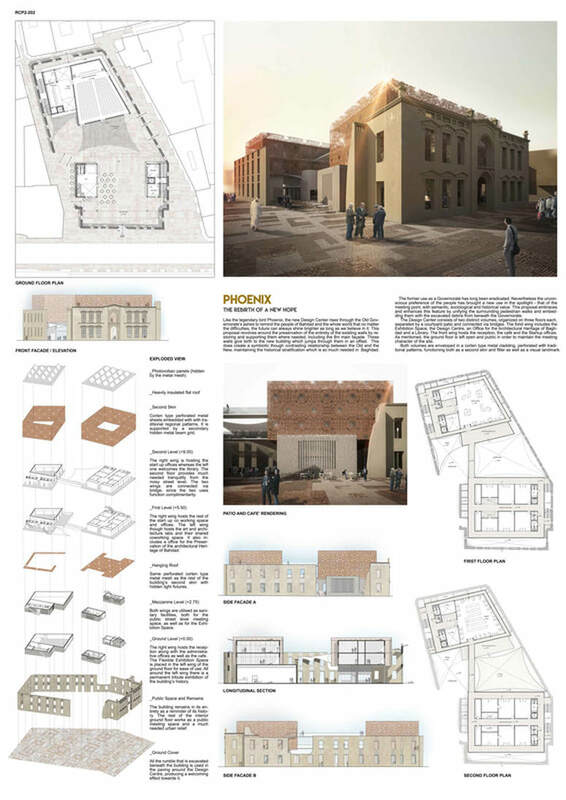 Its response to the urban and design brief highlights the importance of the original wall, and incorporates it as the main feature of the project. 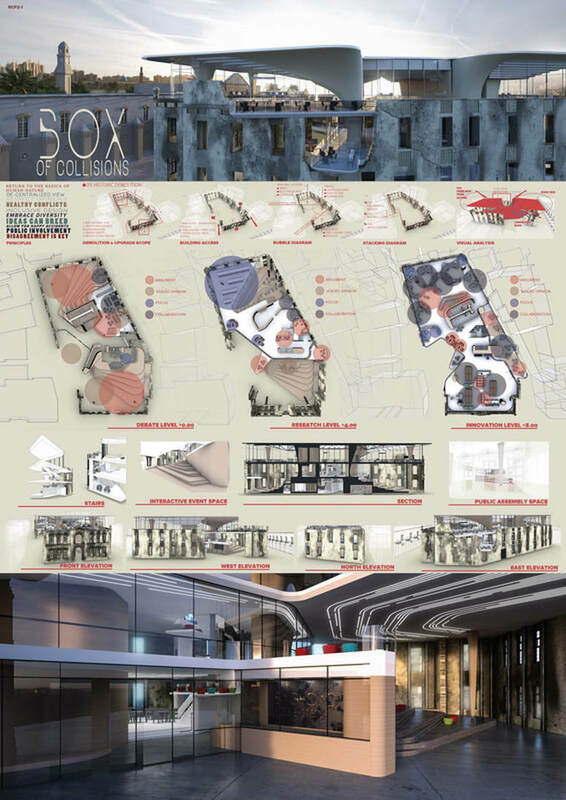 Its transformation into a living function will help create life in the project’s internal space and public plaza, which responds to the traditional local fabric and enriches the urban surroundings. Covering the façade with trees will also allow the viewer to remember it as an urban ruin. “The proposal of a memorial park offers a much needed space in the centre of the city that contrasts with the dense urban fabric. While there might have been the expectation of a building, we are pleasantly surprised with an open space. The underground spaces would be particularly enjoyable in the summer months as they could create an urban cavern for social gatherings. “A delicate steel and glass structure stands behind the government façade, which frames it and contrasts against it. The more traditional streetscape leads to a surprisingly light interior space that is articulated by the filigree ceiling and glazed roof. The architects’ inspiration for the project was a palm tree forest, and this has been nicely interpreted as a series of interior columns. 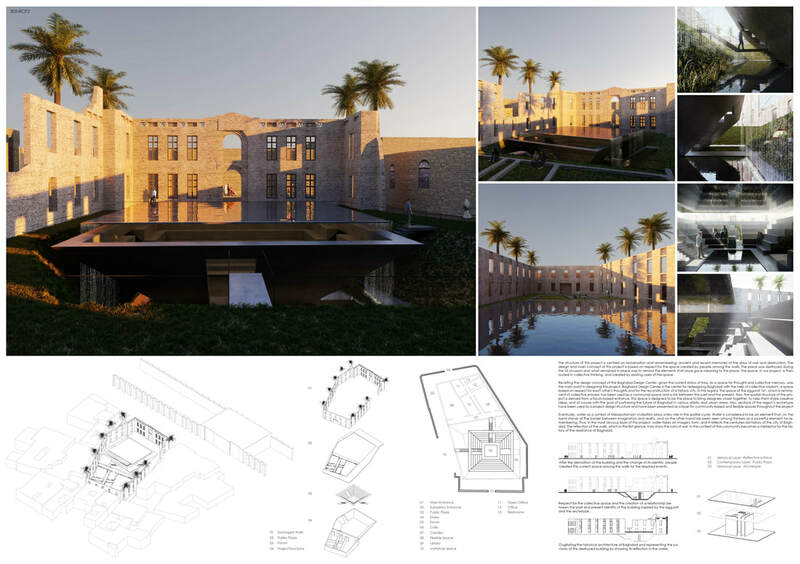 The People’s Choice Award winner was selected by 15 Iraqi architects and academics representing most architecture schools in the country, heritage specialists and the Iraqi architectural community. Team members: Islam El Mashtooly, Eslam Salem, Abdelrahman Magdy and Ahmed Salah. 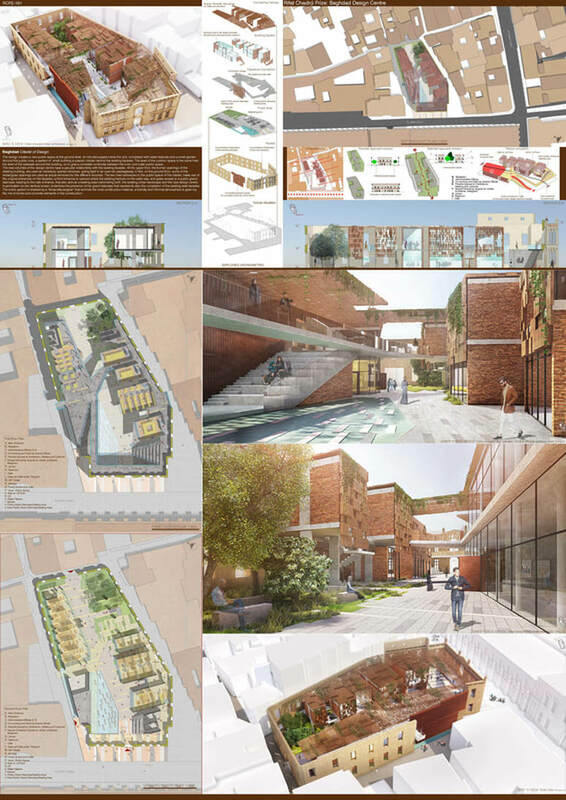 “Two large buildings and an inner courtyard create a believable and useful plan and the addition of the corten cladding provides excellent lighting in a climate that is characterised by very bright sunlight. 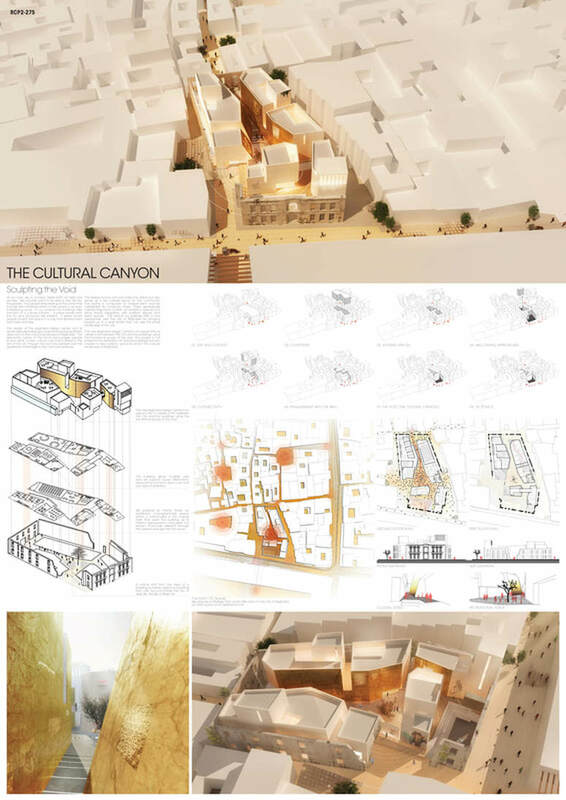 “This proposal for a walled town showed particularly good morphological studies of the development’s form and void. 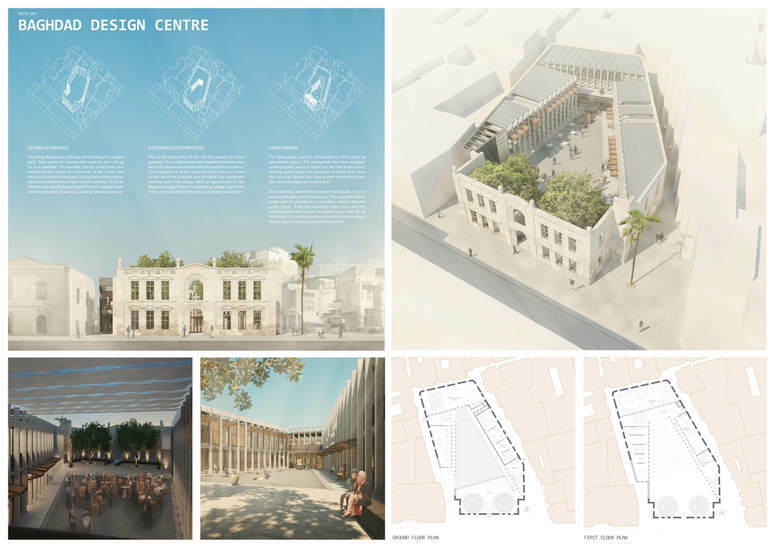 Although the project includes a small auditorium and a central piazza/courtyard, we felt that the small scale of buildings was not appropriate for the centre of Baghdad. “Congratulations to the winners of the Rifat Chadirji Prize for Architecture 2018. We are delighted to see the success of the second cycle of the prize. 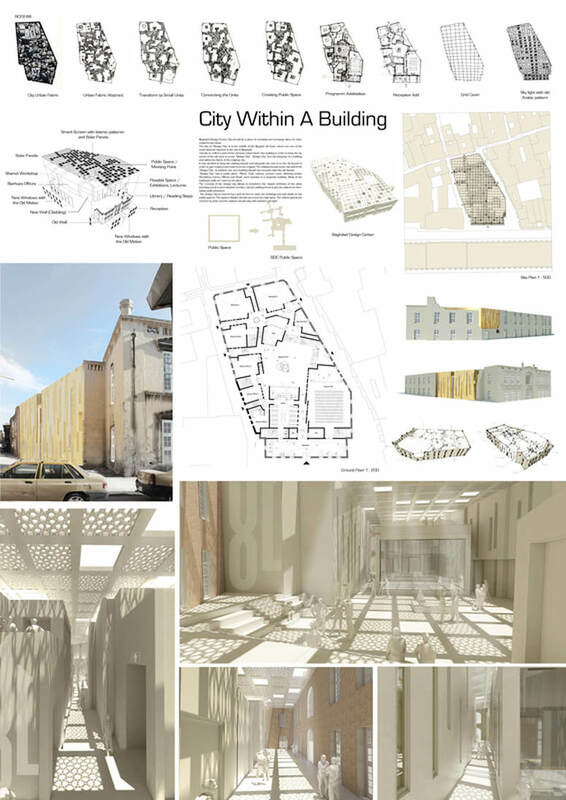 We launched the Baghdad Design Centre competition to highlight the neglect and carelessness towards architectural heritage in Iraq with the hope to see a new architectural approach that helps Baghdad celebrate its heritage and raise awareness of the importance of maintaining all the layers of its history and heritage. 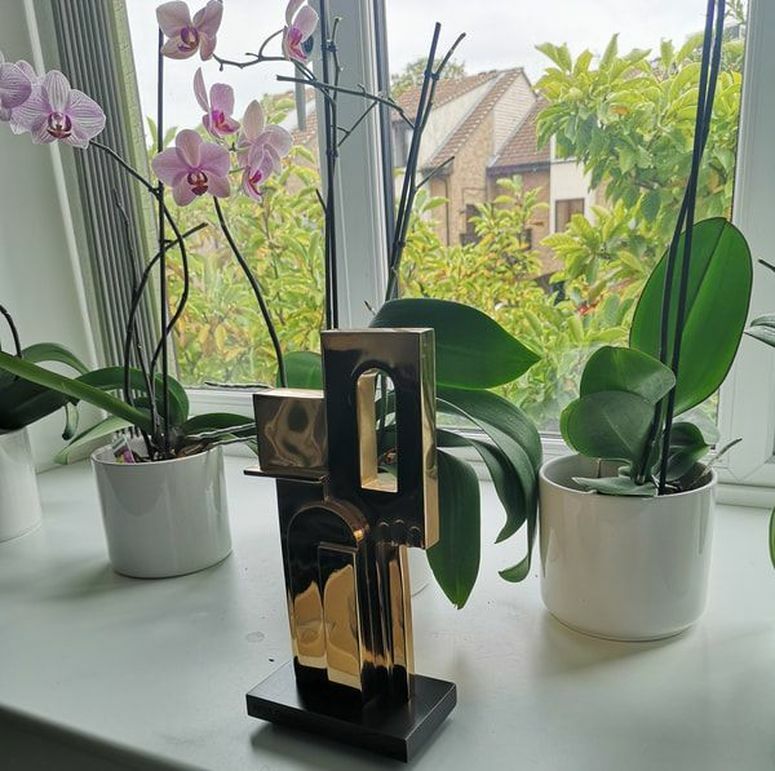 The winner selected by the judging panel will receive the Rifat Chadirji Prize trophy (designed by the Dia Al-Azzawi, a pioneer of modern Arab art and one of the most prominent artists in the Middle East) at the Tamayouz Award Ceremony in Amman, Jordan in December 2018, where an exhibition of the entries will be held and the 2019 theme of the prize will be announced. This award and the meeting for the judges was made possible through the support of our generous sponsors: The Iraqi Business Council in Jordan, Kufa – Makiya Charity, Coventry University, Dewan Architects + Engineers, the United Nations Global Compact, Tradex Global ltd, Ayad Al-Tuhafi Architects and IDP Group - Coventry.